What can I do with a Partner Extranet login? Visit Omaha partners (hotels, attractions, shopping & arts) can respond to leads, update VisitOmaha.com listings, add special offers, post events and more. I am a new contact at a partner venue, how do I get my information added so I can access the Partner Extranet? Hotel partners venues can contact Kristin Beglin at kbeglin@visitomaha.com, to be added as a contact and issued a password. All other partners can contact Jasmyn Goodwin at jgoodwin@visitomaha.com, to be added as a contact and issued a password. After I’ve received my login credentials, how do I update my listing (adding photos, videos, events, etc)? Instruction manuals are available on the homepage of the Partner Extranet. How do I change the hours of operation and prices on my listing? Hotel partners - Please contact kbeglin@visitomaha.com with your changes, and those changes will be made within 24 business hours. 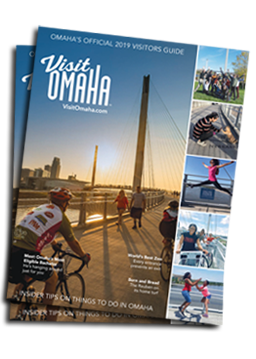 All Other Partners - Please contact jgoodwin@visitomaha.com with your changes, and those changes will be made within 24 business hours.